Steven (Chicagoland, United States) on 1 April 2019 in Plant & Nature and Portfolio. My internet and telephone service is down. I hope to visit your sites soon! The ‘Blue Tango’ bromeliad is a pretty new hybrid, it creates a hot pink and bright blue color. The flower stalk stands high above the foliage and bears hot pink branches of small brilliant blue bracts. This cultivar can be grown indoors or in warmer climates, preferably climates that don’t hit freezing temperatures often. It prefers bright, indirect light and can be 24-36 inches tall. The plant has sharp edges. 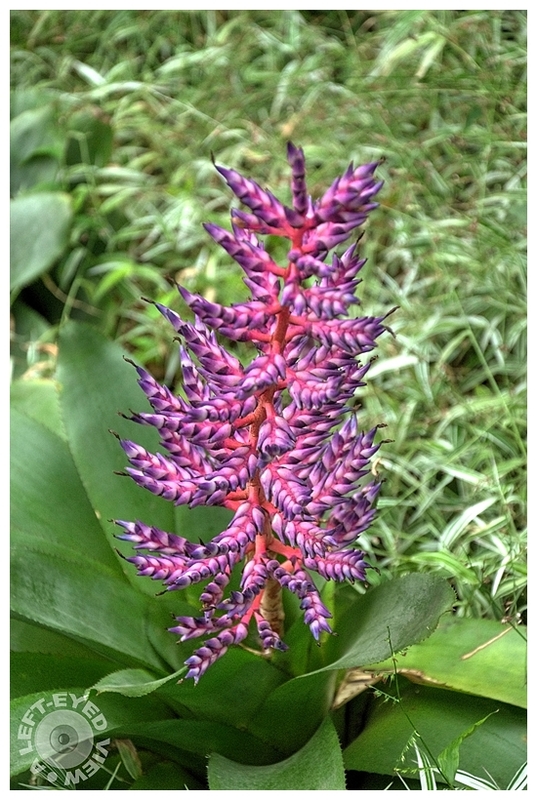 The Blue Tango bromeliad does not set seed because the flowers are sterile. What a sweet and colorful creation this is ! Je découvre cette magnifique plante. Très jolie photo. Wonderful flowers! good photo!, nice day to you. This is a beautiful name for this colorful flower. Original exotic plant ! Beautiful colors ! Love the color and pattern of this beautiful plant. Hope you get hooked up quickly! Je ne connais pas cette plante, mais excellent cliché. very beautiful...different image...a medley of colours here..That pink looks lovely !!! What beautiful and original flower. I have never seen. Beautiful. I love the color. Nice color and nice shape ! This flower is just beautiful. I love the colors! A gorgeous image! Quelle jolie fleur ! Je n'en avais jamais vu. A beautiful image of this striking plant. oh, my, it's so wild in beauty! Beautiful harmony of shades of colors, green and pink/lilac(?). Que c'est beau et même plus que ça ! Really, what a striking colour. Wow , the colors are so vivid! Beautiful shot!